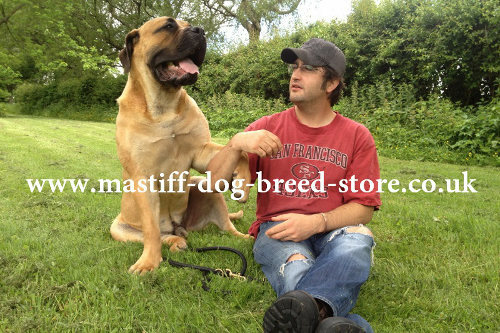 Choose a strong leather dog lead to control your giant mastiff. Colors: black and brown. Lengthes: 2, 4 and 6 ft. 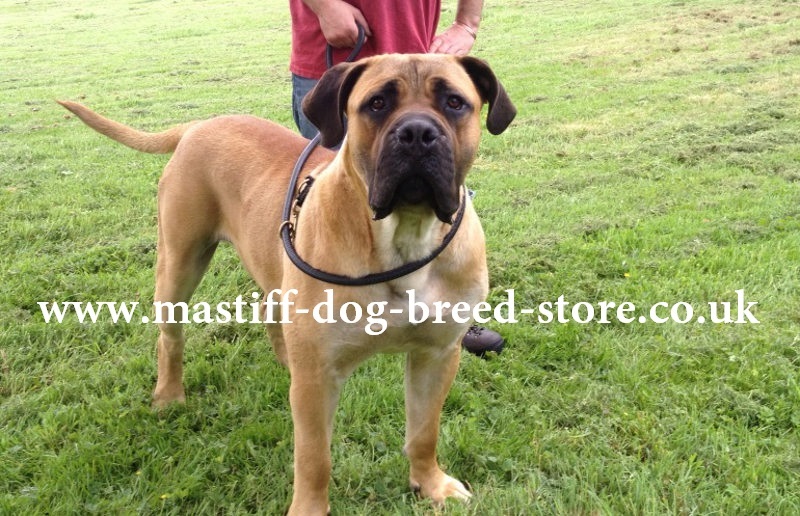 Extra strong dog lead for South African Boerboel is designed to provide reliable control over your big mastiff dog. 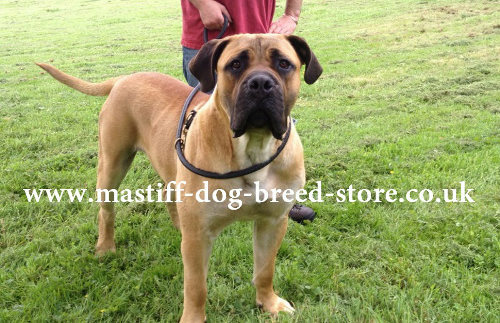 Special features of this strong dog leash make it comfortable for a handler and a good help to control huge power of your giant dog. First of all, it's incredible strength is guaranteed by inner cord. To make it safe and comfortable for your hands, we wrapped it with a soft natural leather and carefully stitched by hands. We use special armored thread, smooth and wax edges to make it serve you a good and very long service. Soft handle will not rub your hand even if your dog suddenly pulls. 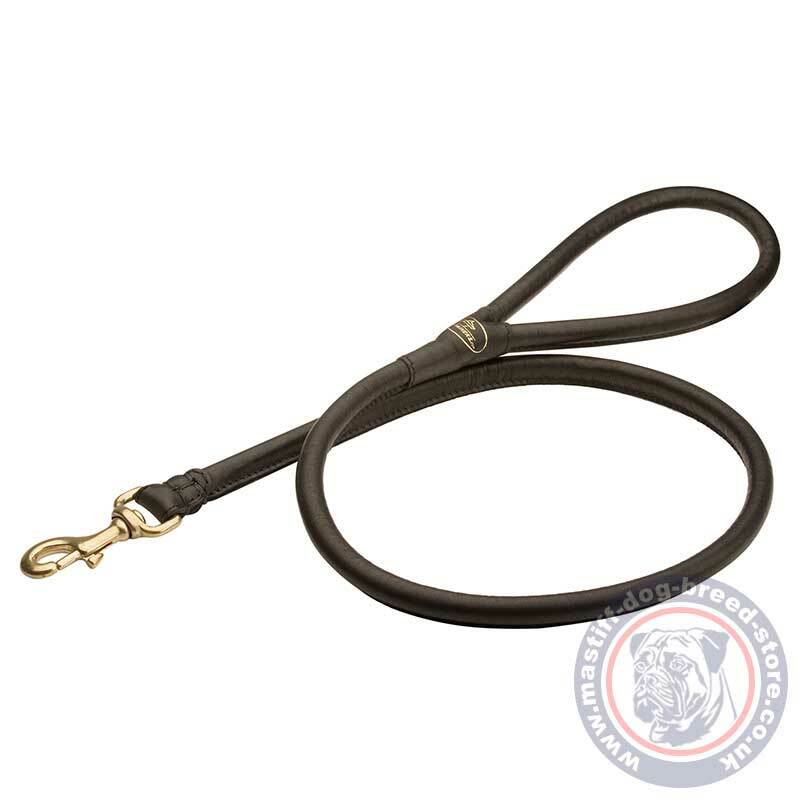 Round dog leash has a strogn brass snap link to adjust it to a collar/harness or to itself to make a loop (as you see at the image below). Minimize its contacts with water and open sources of heat (do not leave it at heater and straight sunlight for a long time). Process a leather surface with water repellent and leather conditioner to keep it flexible and soft for a long time.